Consumers have purchasing power but have you ever wondered how they decide what to buy? Google did some research, polling roughly 1,800 people to find out about their buyer’s journey when it comes to skin care, baby products, and pet foods. Read on for the key takeaways. Most people don’t have a specific brand or product in mind. According to a Think with Google study, more than 8 in 10 undecided CPG shoppers say they’re considering multiple brands or don’t have any brands in mind at all. Furthermore, 60% of smartphone users say they’ve discovered a new company or product when conducting a search on their smartphones. What this means for marketers is that they have a fairly good shot at swaying consumers over to their brand. For those conducting research on their smartphones, marketers should use this opportunity to shift that person’s mindset with tactics that include influencer marketing, branded websites or mobile apps, targeted ads, and personalized video ads. Shoppers want CPG products to fulfill a specific need and they use Google to assist in that search. 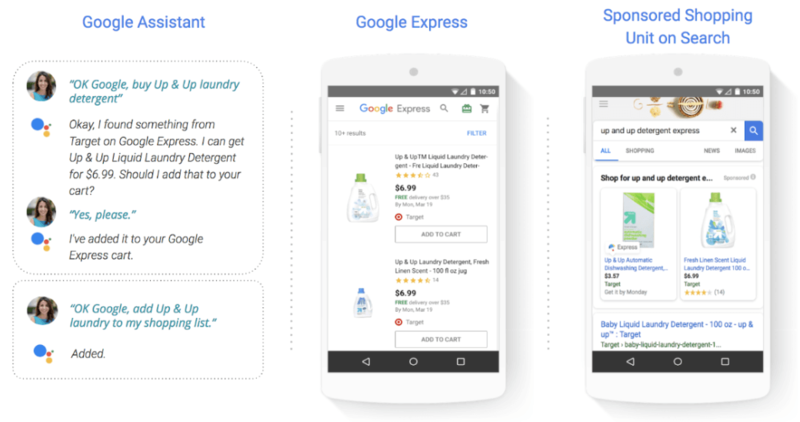 Per the Google study, 75% of shoppers said they used search early in their process. Additionally, 80% or more of CPG shoppers who used search said it influenced their purchase decisions. Awareness, interest, and consideration are part of the buyer’s journey prior to the actual “purchase” stage. For most shoppers, they want to understand how CPG products are fulfilling their particular needs. CPG manufacturers and their marketing managers can create content that answers upper-funnel queries for consumers. Remember, if they are searching online, then a consumer is strongly considering. Marketers have the ability to use search to bring more people to their branded website, so it is imperative that you deliver a positive digital experience. The more varied and positive the experience a shopper encounters along the digital buyer’s journey, the more likely the person will purchase that particular branded item. That is why it is critical that you pay attention to your brand’s digital touchpoints, making sure you double-check your product feed optimization and that your Google Ads are on point. Need help with your Shopping Campaign? Find out why over 25% of the top 1,000 Internet Retailers work with us. Schedule a free demo and see what solutions we can offer your company today! What Do You Recommend for Amazon Marketing Services?